After a long 2018, Bitcoin finally sees some positive development. The coin is currently seeing gains once more, albeit small ones, with its daily growth less than 1% after the coin surged past the $4.000 mark. Breaching this resistance level has been something that Bitcoin tried to do for several months now, ever since it dropped down to $3,200 back in November. This level proved to be the coin’s largest support, which kept it from going further down for four months, at this point. Bitcoin price did come close to it once or twice, but the support held and allowed the coin to finally find a bottom, after about 11 months of uncertainty. After reaching its bottom, however, Bitcoin’s main concern was with climbing back up, and its first major barrier — the one that the coin struggled with since December 2018 — was at $4,000. At first, the coin seemingly started its recovery after BCH hard fork in mid-November. The second market cap was strong, but it may have exhausted the bear market faster. 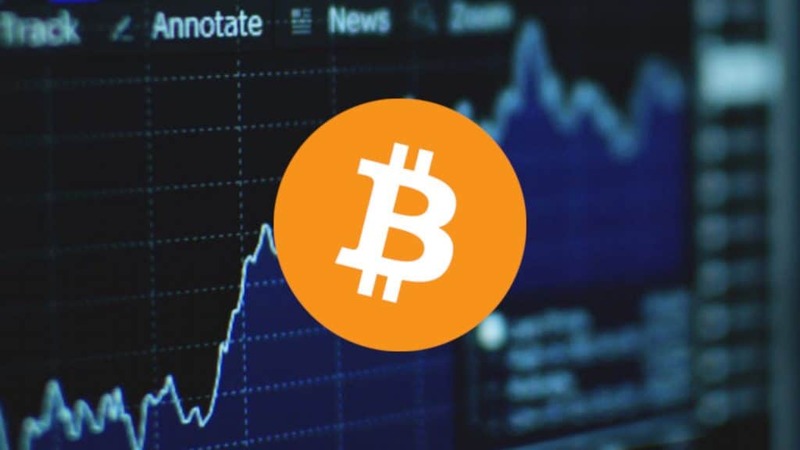 In fact, as soon as the situation with BCH calmed down, BTC price started growing up from $3,200, leading many to believe that the crypto winter was over. With this mindset, it is hardly surprising that people were once again willing to buy Bitcoin, especially after what happened during the previous bull run, back in 2017. However, after reaching $4,000, the Bitcoin price also hit a barrier — one that it struggled to surpass for months to come. It should be mentioned that Bitcoin did breach the $4k resistance several times, but it never managed to remain above it for long. Further, any venture that took the coin above this mark was followed by a price rejection, and the Bitcoin price had to go through corrections. Most of the time in 2019, the coin was protected from dropping too deep by its $3.600 resistance. 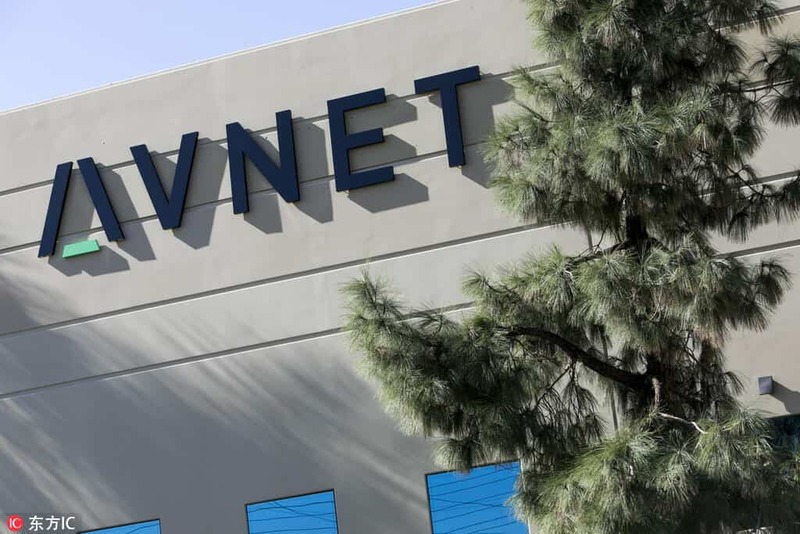 However, after one of its unsuccessful attempts at breaching the $4k mark in late December and early January, the coin temporarily lost its strength, and the bears returned. On this occasion, the $3.600 support was broken, and BTC once again threatened to drop to new depths. It was stopped by a support at $3,450, and while this support was breached as well at some point, it lasted just long enough for February to bring a series of smaller bull runs. The bull runs made a significant mark on the crypto space. Not only did they allow Bitcoin to start gaining value once again, but they also included pretty much the entire market with it. The first such surge came on February 8th, allowing BTC to breach the resistance at $3,600. It remained at this level for about ten days, until February 18th, when the second surge brought the coin up to $4,000. This was still Bitcoin’s largest resistance at the time, and the coin struggled to breach it for about a week when the third surge hit on February 23rd. Bitcoin finally breached the resistance, climbing to new heights. However, that’s when the twist came, and the bears re-emerged, forcing Bitcoin price back down, below the 4k mark. BTC did not go too far down, however, as it discovered a new strong support at $3,840. This level allowed the coin to stick around its major barrier, and wait for another bull run to arrive. Bitcoin then waited for about three weeks for this to happen, until it finally did on March 15th. 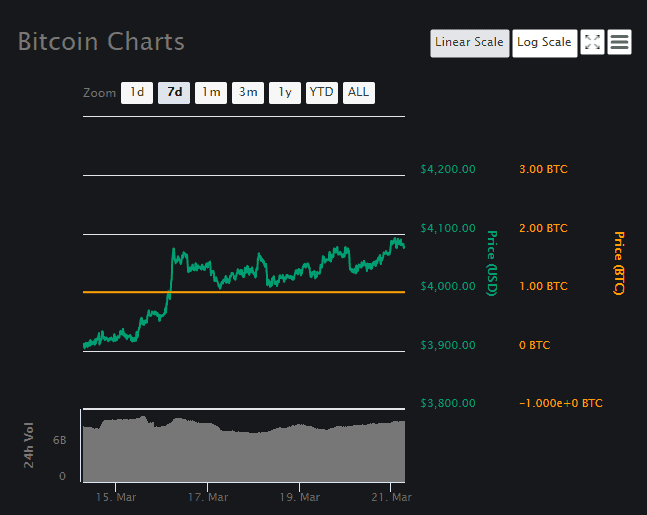 The new surge brought the coin back to the $4k mark, and it finally successfully breached it on March 16th. 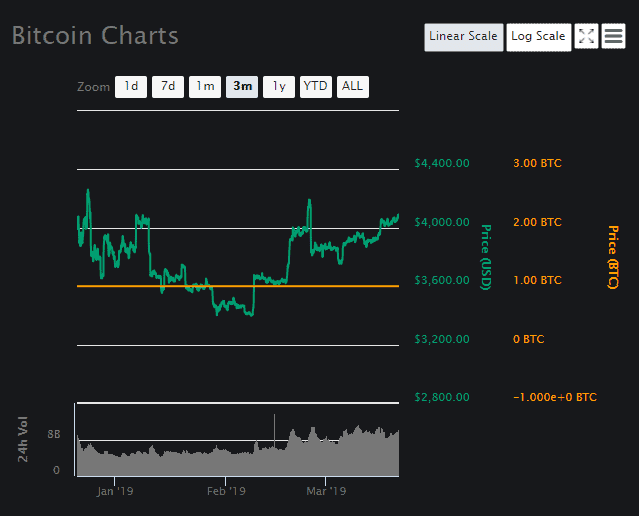 This breach, however, appears to be a permanent one, as the $4k level currently acts as a support, meaning that BTC is now free to pursue new heights. It already attempted to breach its next resistance at $4,100, albeit unsuccessfully for the time being. At the time of writing, BTC is still the largest coin on the market, with a price of $4,077.54 and a market cap at $71.7 billion. In following days, another bull run might take the coin further up, but a strong bearish impact might even force it to break its new resistance. Some experts believe that the coin will yet drop deeper than ever before, but that seems more unlikely as the time passes by.